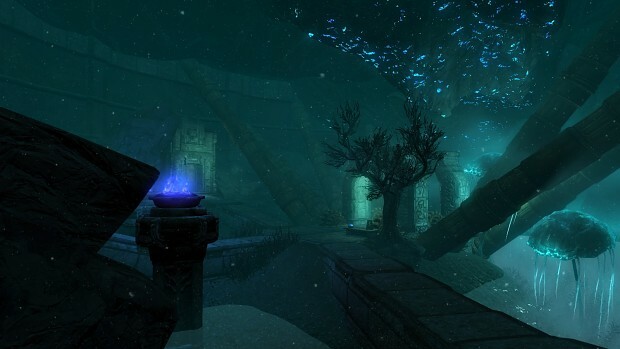 Tunzerfalls adds a whole new dungeon experience to the people who play The Elder Scrolls V: Skyrim. 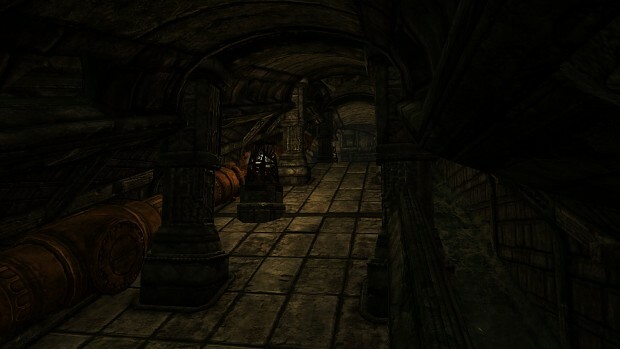 The dungeon adds on to the game's lore about the Dwemer race and their lost ways of making metallic devices and weaponry. 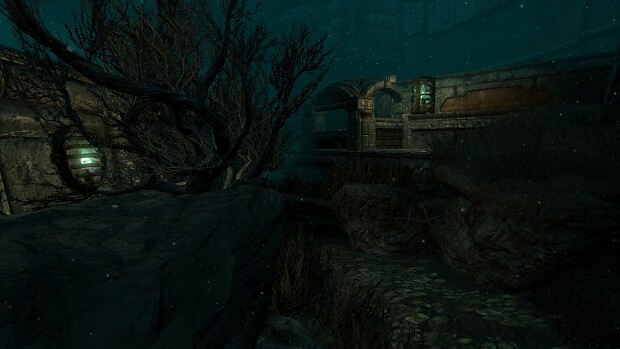 I'm not much a of a writer of fancying up my own mod so I'll just give you what I've created in the last few weeks. This dungeon is built around using water to run it's machinery. Bellow is the main entrance of the dungeon. As soon as you enter the dungeon you will see this cavern. 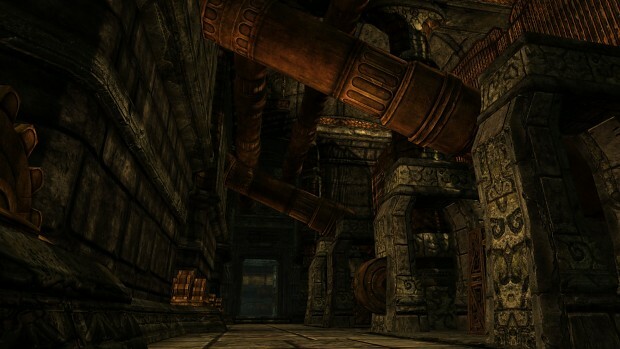 The big walk way in the middle is a giant pump station that pulls from the water table and pushes it through the dungeon and possibly dwemer dungeons around it. I'm not going to talk much about this area but It is a critical part of the dungeon as it connects three of the main wings of the dungeon. So far I only have two enemys drawn but more are soon to come. I will also be modeling these characters my self. This character it covered in roots and can slow any thing that touches it. 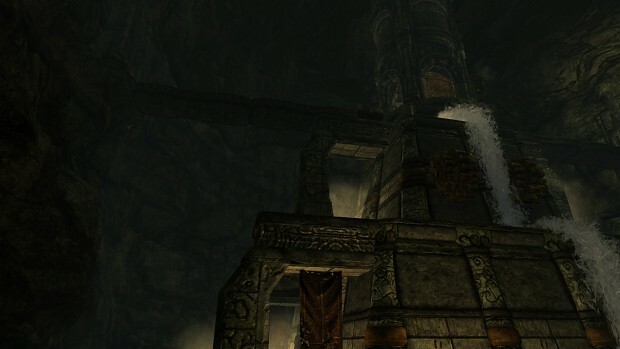 It also is held together by a dwemer core, so if the character dies it will also explode into a pile of dirt. 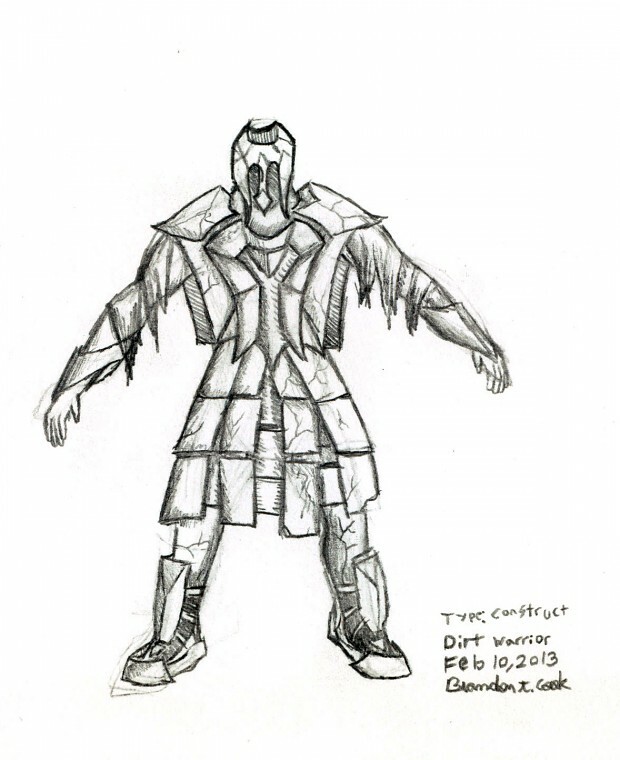 This warrior's armor is made of hardened clay that can with stand any blade with out breaking. 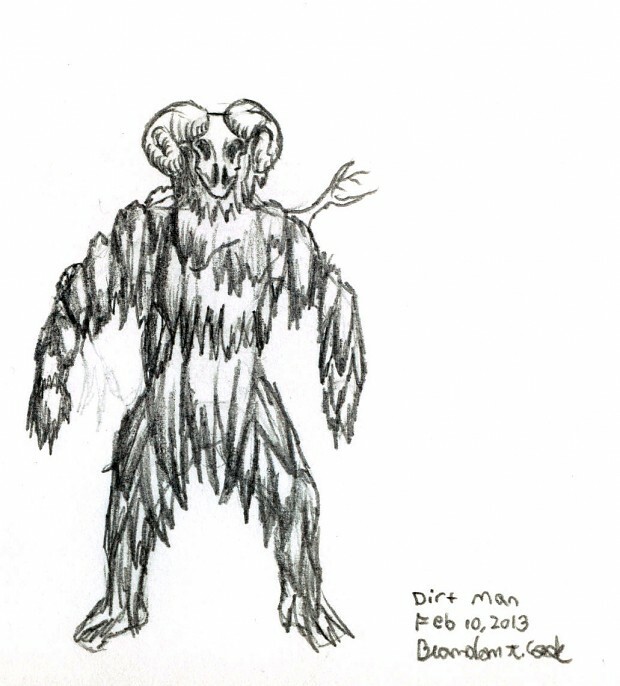 The affects from the core keep this enemy together but if the enemy dies it will explode into a pile dirt. Thanks man :D. Al tho I need to do some more updating on my page :p.